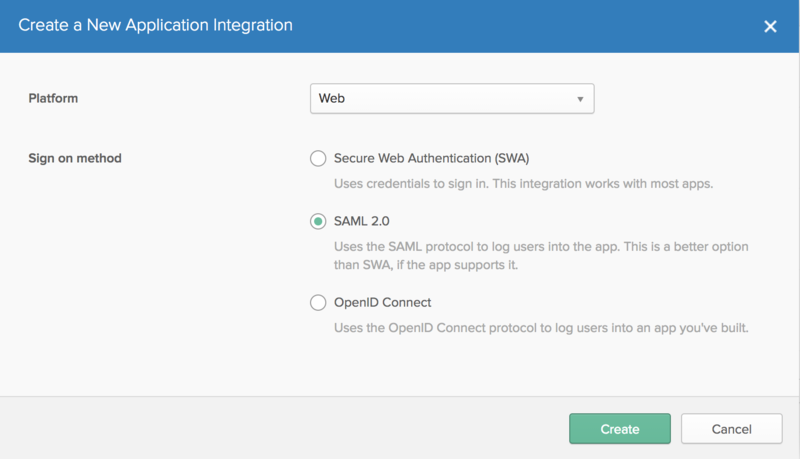 Create a new application as a SAML 2.0 application. Provide a name and icon for the application. 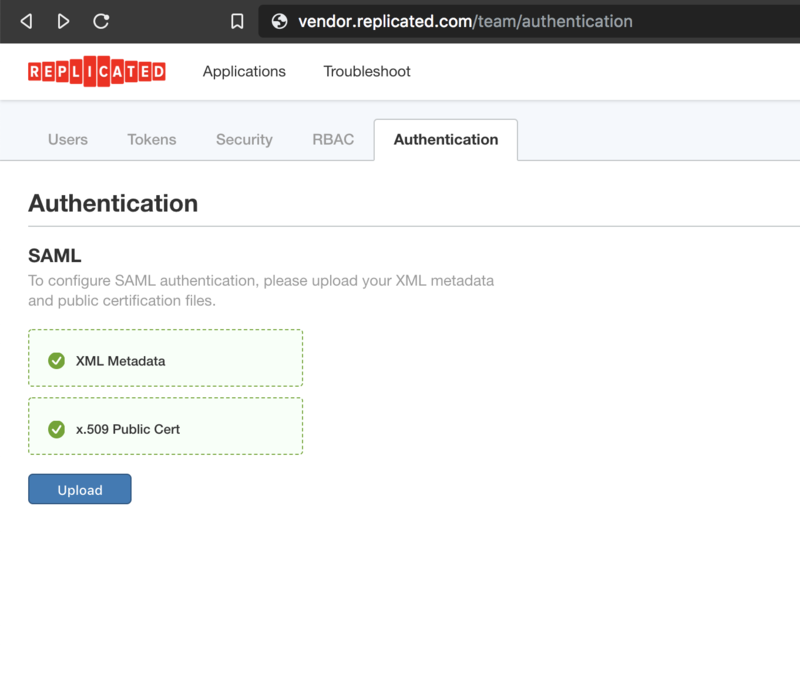 We like using the name “Replicated Vendor Portal” and you can download a high quality icon here: https://help.replicated.com/images/guides/vendor-portal-saml/replicated-application.icon.png. 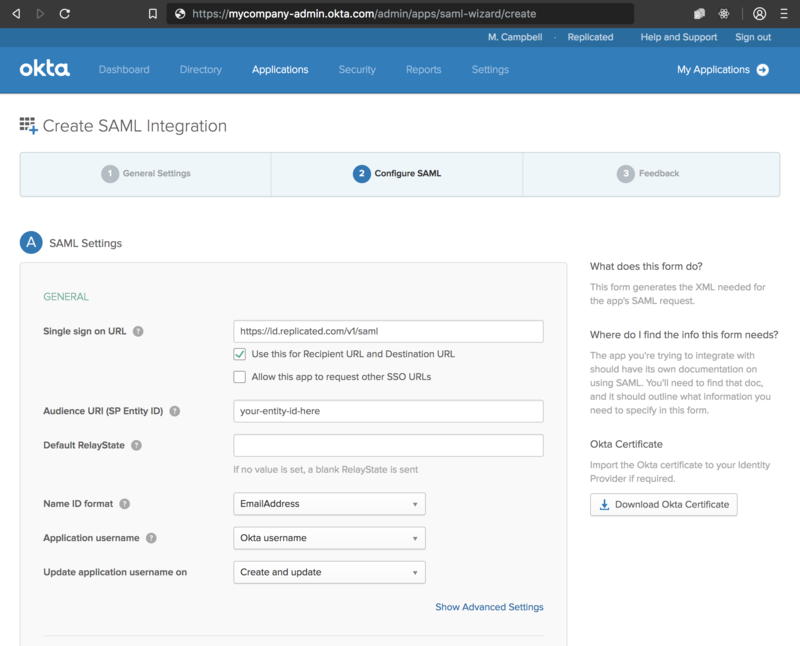 Clicking Next will take you to the “Configuring SAML” page on Okta. Download the Okta certificate from this page. There is a button on the right, with the caption “Download Okta Certificate”. This is your x.509 certificate to provide to Replicated. Download this and keep it safe for the next step. This is displayed on the Vendor Portal authentication tab. This is unique to your team in Replicated. On the final screen, select “I’m an Okta customer adding an internal app” and click Finish. Once you’ve clicked Finish, you can download the Metadata.xml file by clicking the link titled “Identity provider metadata”. This will likely open an XML download, so you can just right click, and Save Link As… to download this file. 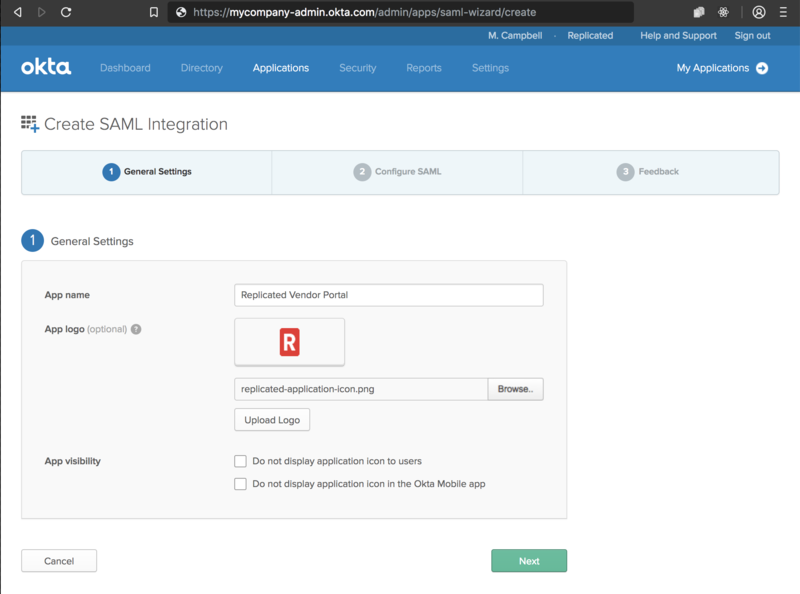 On the Replicated Vendor Portal Authentication page, upload your metadata.xml file and your Okta cert. At this point, SAML is configured, but not enabled. You have two options for enforcement, and can continue to the Enforcing guide to understand these options.